Sunday, June 5, 2011: Deep Diver Paula was at the Minnesota School of Diving shop getting a full tank of air for an afternoon treasure dive. 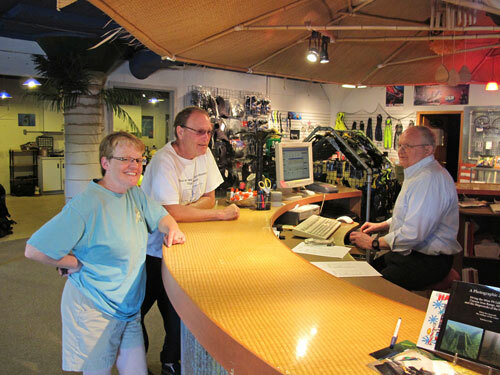 (l-r) Deep Diver Paula, dive buddy Rob Fitzsimmons, and dive shop owner Bill Matthies. Round Lake is northwest of Mille Lacs Lake in Central Minnesota. 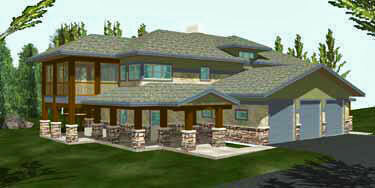 The right finger is pointing to where Paula's uncle and aunt, Jack and Candy Scott live. That is where the crew headed to go diving. 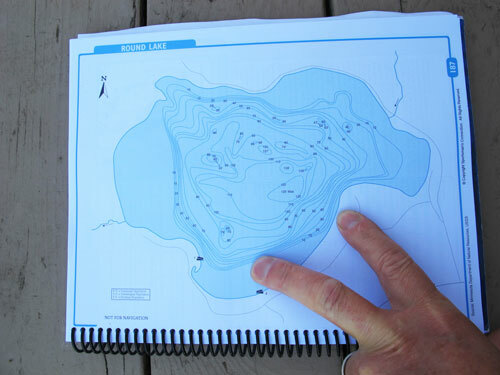 The left finger points to the actual dive location on the lake. Depth there ranges from 15 feet to 60 feet. 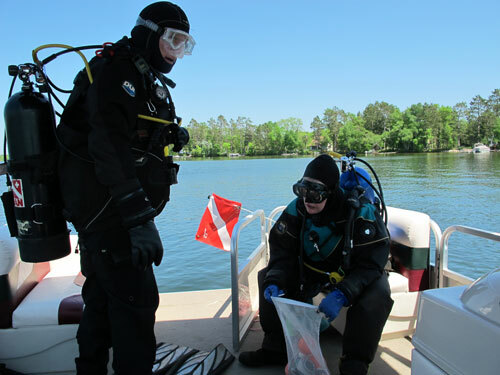 Looking like astronauts suiting up, Rob and Deep Diver Paula prepare to ascend from the uncle Jack's pontoon boat. 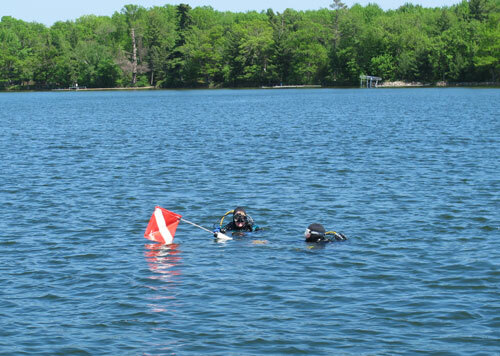 In the water with their dive flag, they prepare to ascend to the depths. 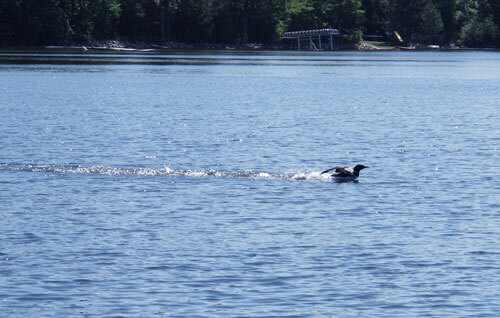 Topside, Mark and Jack watched a Minnesota Loon skim across the water preparing to take off. 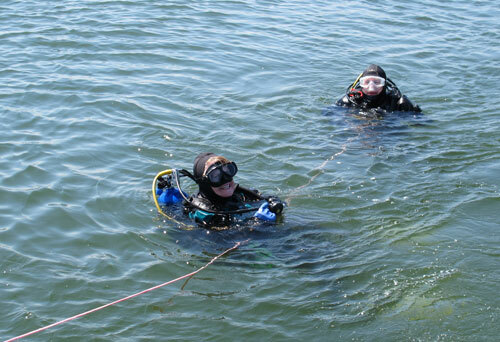 After the divers returned to the surface, they were towed back to shallow water where it was easier to board the vessel. Towing is sometimes referred to as, "trolling for sharks." That's the treasure? 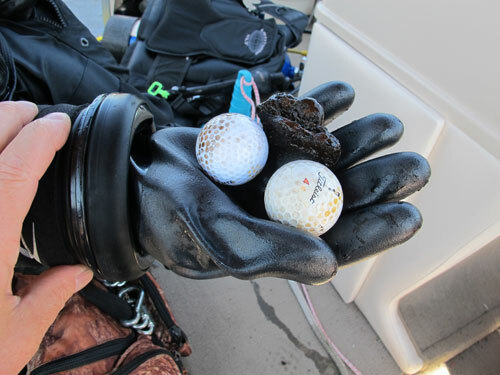 Two golf balls and a volcanic rock? Better luck next time, Paula! 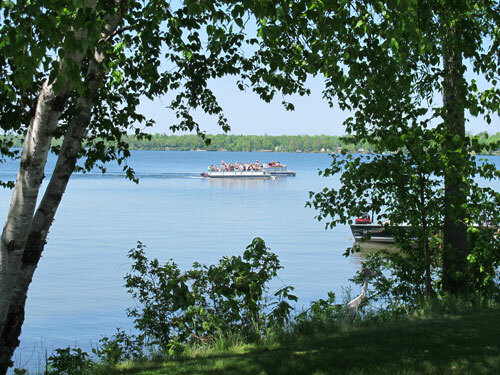 More pleasure craft as seen from the shore of Round Lake on that sunny day. Thanks to uncle Jack Scott for taking the divers and Mark on that afternoon cruise.